Mental maps show people's personal depiction of a place. Because of this, these maps will vary a lot between each person. A person's point of view is measured when creating these maps. 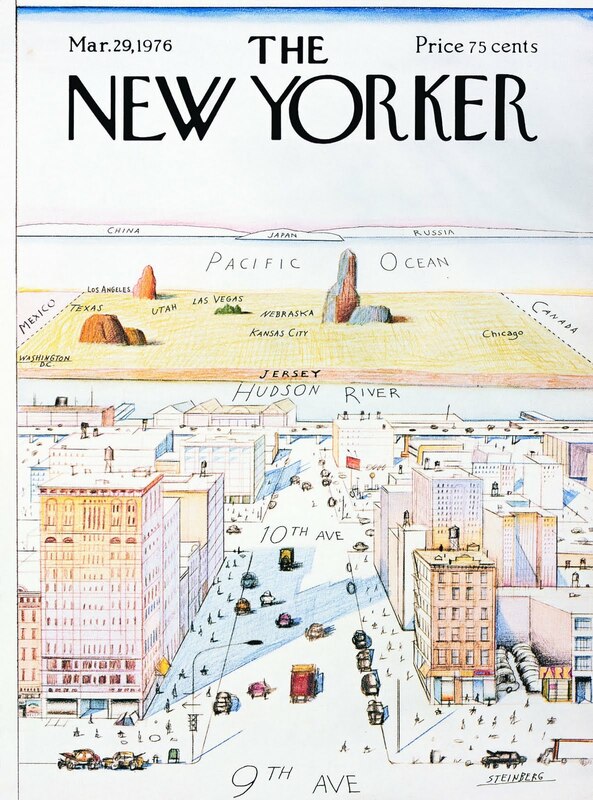 In this map, the magazine The New Yorker shows it's view on the country. The city of New York is shown in detail with street locations shown, but once the Hudson River is passed, the country does not have much going on. It shows states in very small detail, which means that the rest of the country is not as populated as New York.